This flight is currently being prepared for a launch in September. This flight was intended to take images of a solar eclipse shadow. 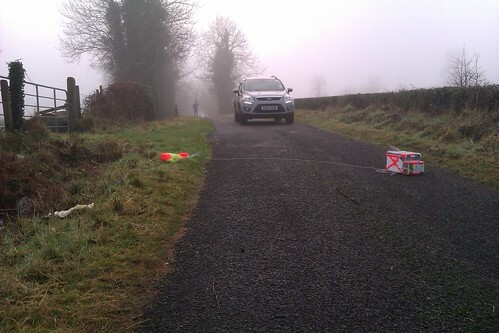 It was successfully launched from Cookstown at 2015-03-20 but failed to rise through the cloud layer, landing in a field not far from the launch site. It took off again before finally coming down in Lough Neagh. No signal was received near the final landing site and the payload was never recovered. This flight was done along with Cookstown High School and Holy Trinity College. 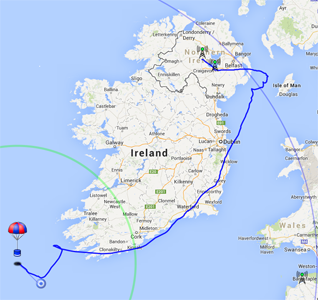 Launched 2014-03-22 from Cookstown it floated for about 24 hours before splashing down in the Atlantic. Its path took it east towards the Isle of Man, then slowly south along the Irish coast. It has not been recovered. 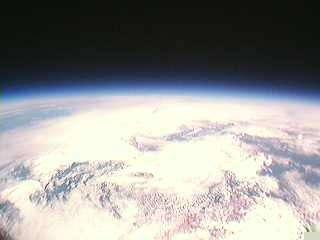 A pico payload launched on a 100g Hwoyee balloon from Cookstown, N.Ireland. This flight was a test of the THOR16 data mode for telemetry. Launched 2014-02-16 at about 13:00 UTC it floated for about 1 hour before bursting, landing in the North Sea. Thanks to Anthony Stirk and Dave Akerman for providing the hardware for this flight. 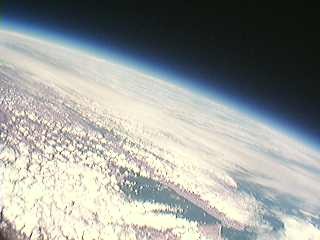 A light weight Raspberry Pi-powered payload launched from Omagh, N.Ireland. 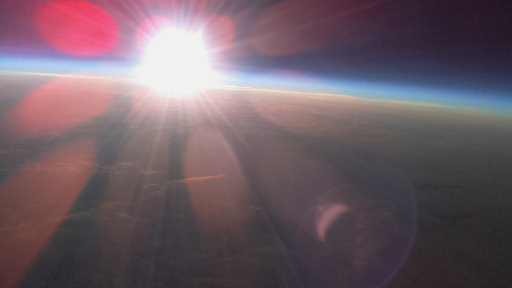 It floated for 20 hours transmitting live images as it drifted across Europe. This flight was originally planned to be launched at the West Tyrone Amateur Radio Club's 2013 conference. It was delayed due to problems with the payload and poor flight predictions. It finally got launched on the 30th November 2013. Launched on the 9th Janurary 2013 from the Marble Arch Caves for BBC Stargazing Live. This flight was a group effort by BBC NI, Lismore Comprehensive School, the Mid-Ulster Amateur Radio Club, specifically Graeme McCusker and myself. It reached a relatively low altitude of 18982m, before landing on the side of a quiet road near the border. The easiest recovery I've done so far! 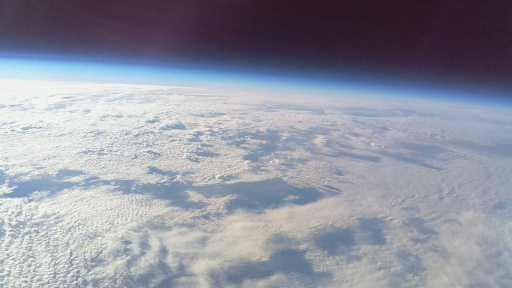 BBC stories: Lismore school and BBC to capture the final frontier and Giant weather balloon carries out its sky mission. Storm was launched on the 1st of Janurary 2013 from Cookstown at about 16:50. The GPS failed 26 minutes into the flight while the payload was at 3.8km altitude. 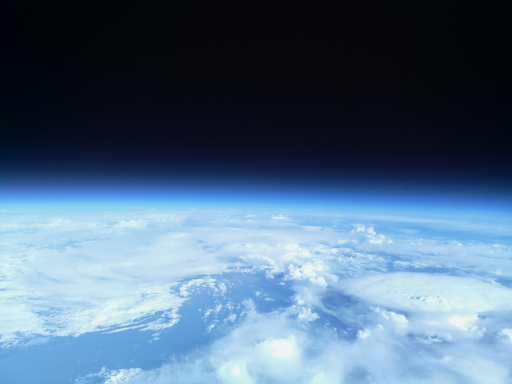 66 minutes into the flight the radio failed while the payload was at an estimated 9.7km altitude. The reason for these parts failing is unknown, but the radio likely failed due to the extremely low temperatures at that altitude. This flight was designed to float quite a long distance across Europe, without any chance of recovery. hadie:4 was launched at 11:19 UTC on the 3rd of December 2011 from the An-Creagan visitor centre. It reached a maximum altitude of 33559m at 15:07, and splashed down at 15:44 in the North Sea. It had travelled 544km, with an average speed of about 126km/h. A smaller and ligher payload, launching in November. This flight will carry a small video camera in place of the Canon A560 and I'm hoping to make a proper PCB for the tracker instead of the quite bulky stripboard version. Because of strong winds which lasted the entire launch window, I decided to launch a cut-down version of this payload which just included the live camera. The predictions had it landing very near where hadie:2 landed in Yorkshire so I decided to aim for that. With a much better antenna design and extra batteries there should have been a much better chance of recovering it ths time. That was the plan anyway. Gusty winds at the launch site made it very difficult to measure the lift of the balloon, and after launch it was obvious we had under-filled it. The ascent rate was 2m/s instead of 3.5m/s meaning it reached the burst altitude later than planned while it was over the North Sea. In the minutes before burst it was even showing signs that it was beginning to float. The payload fell and thanks to a great effort from the receiver stations it was tracked all the way down to about 2km, just a few minutes from splash-down. hadie:3 was launched at 11:38 BST on the 4th of June 2011 from the An-Creagan visitor centre. It reached a maximum altitude of 31616m at 12:57, and landed at 13:30 in a forest high up on the Sperrin Mountains. The payload got caught about 11m from the ground in one of the trees and remained stuck there for nearly a month before being recovered. The new antenna, a quarter wave vertical made from just coaxial cable, worked extremely well. The telemetry signal was successfully decoded up to 530km away by G3VZV, and the image data was received by M0JCU, M0DTS and GM4JTJ - M0JCU was 500km away! After the antenna failure of the last flight this was a huge relief! 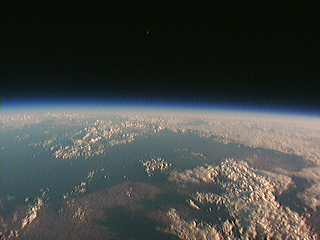 The SSDV protocol also proved to work very well - almost every single packet was received, except for a few just before and after launch when I was moving the radio into the chase car. The new robust image format, a lost packet will not ruin the rest of the image. See the SSDV page for more information. Quarter-wave dipole antenna, mounted so that the module doesn't take the full force of the landing this time. Canon A560 camera with CHDK and script to take regular images. A new version of the C328 UART camera with a wide-angle lens. A thicker polystyrene box with compartments for each of the components, wrapped in foil backed polystyrene sheets. M0DTS/Rob went to the area but no signal was received. The payload may have been damaged on landing or the hills could have blocked the already weakened signal. I don't know yet what happened to make the signal so weak, but there's a good chance the antenna was at fault. It was either made wrong or damaged in flight. 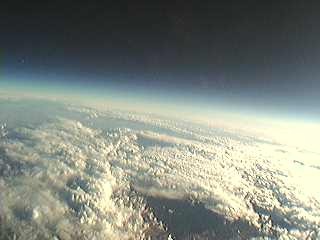 The highest altitude reading was received by M0DTS from incomplete telemetry, and was 30217 metres at 14:36:09. M0DTS also reported a likely burst at ~14:51 and with a 3.5m/s ascent rate puts the burst altitude at roughly 33.3km. 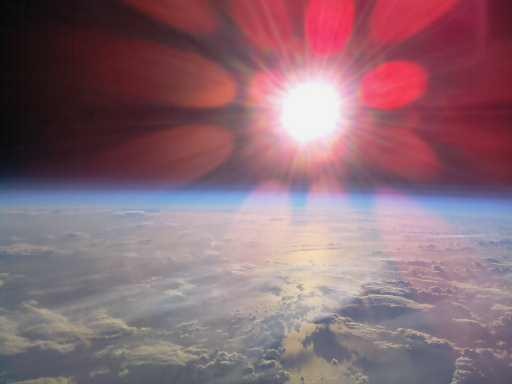 The HADIE module flew on the 16th April 2010 as part of ProjectCirrus, reaching just over 30km altitude. The module and camera worked throughout the flight, transmitting the position and image data until the harder than expected landing destroyed the board. The 10mw signal from the NTX2 was picked up as far away as Yarm in England, 366km to the east. The payload was spinning for most of the flight causing the signal to fade in and out. Because of this about 5% of image blocks where lost which unfortunately resulted in most of the images being incomplete. Once a block is lost, any subsequent data received for that image is also lost.